Magnetic resonance (MR) imaging–guided strategies for the detection of prostate cancer were cost-effective compared with the standard biopsy strategy, according to a new study published in the journal Radiology. The current standard for detecting prostate cancer is a systematic transrectal ultrasonography (US)-guided biopsy with the acquisition of 12–16 cores ("standard biopsy") performed in predefined locations in patients with elevated serum prostate-specific antigen (PSA) levels or abnormal digital rectal examination results. Most tumours are not visible at US; approximately 25%–40% of clinically significant cancers are missed, and up to 42% of indolent cancers that would not have caused symptoms in the patient’s lifetime are detected with these biopsies. In addition, biopsies can lead to complications such as infections and bleeding that may require further treatment, increasing healthcare costs. MR imaging and MR imaging–guided biopsy techniques are highly sensitive and specific in the detection of clinically significant prostate cancer. There is however a reluctance to incorporate MR imaging into practice guidelines for prostate cancer detection because it is perceived to be an expensive technology. In this study, researchers evaluated the cost-effectiveness of multiparametric diagnostic MR imaging examination followed by MR imaging–guided biopsy strategies in the detection of prostate cancer in biopsy-naive men presenting with clinical suspicion of cancer for the first time. A decision-analysis model was created for biopsy-naive men who had been recommended for prostate biopsy on the basis of abnormal digital rectal examination results or elevated PSA levels (age groups: 41–50 years, 51–60 years, and 61–70 years). 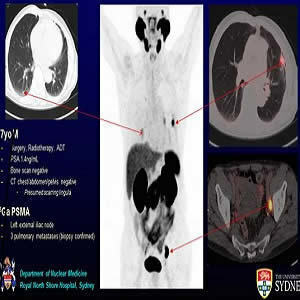 The following three major strategies were evaluated: (a) standard transrectal ultrasonography (US)-guided biopsy; (b) diagnostic MR imaging followed by MR imaging–targeted biopsy, with no biopsy performed if MR imaging findings were negative; and (c) diagnostic MR imaging followed by MR imaging–targeted biopsy, with a standard biopsy performed when MR imaging findings were negative. Model parameters were derived from the literature. Results showed that noncontrast MR imaging followed by cognitively guided MR biopsy (no standard biopsy if MR imaging findings were negative) was the most cost-effective approach, yielding an additional net health benefit (NHB) of 0.198 quality-adjusted life year (QALY) compared with the standard biopsy approach. Noncontrast MR imaging followed by in-gantry MR imaging–guided biopsy (no standard biopsy if MR imaging findings were negative) led to the highest NHB gain of 0.251 additional QALY compared with the standard biopsy strategy. "Interestingly, MR imaging–guided strategies cost even less in the 41–50-year age group while yielding higher NHB. The incidence of prostate cancer is lower in this age group, and a modality with a negative predictive value greater than 90% is expected to give better outcomes in groups with lower disease prevalence," the authors write. The authors note that the study has several limitations, including: 1) Medicare-based data were used for analysis but may not be applicable to other forms of reimbursement practices; and 2) the values for the diagnostic performance of various modalities tested in the model were derived from single-institution studies because randomised clinical trials comparing MR imaging–guided pathways with the standard biopsy pathway are not available. They add, "We did not evaluate the probability of low-risk cancers transitioning to aggressive disease over time. However, there is strong evidence that unless they are associated with higher-grade cancers, Gleason 6 tumours practically never metastasize." prostate cancer, MR imaging, standard biopsy Magnetic resonance (MR) imaging–guided strategies for the detection of prostate cancer were cost-effective compared with the standard biopsy strategy, according to a new study published in the journal Radiology.